It’s no secret that if your business wants to be relevant in today’s market, it needs to have a blog. Featuring a blog on your website is one of the most cost-effective inbound marketing strategies you can invest in. However, you can’t simply throw a bunch of random articles on your website and call it a blog. (In fact, Google’s algorithm works against sites that do this.) You need to create and feature quality, original content that helps your brand stand out from the competition and get found. This article is going to cover what exactly makes quality content, why you should even bother with a blog, and the keys to writing successful blog posts. So without wasting any time, let's jump in! In the inbound marketing world, we often say, "content is king," but really, quality content is king. 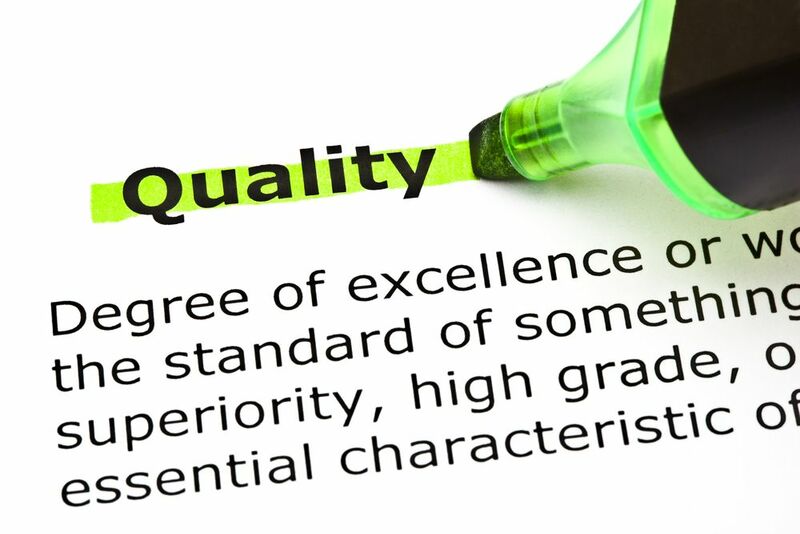 Of course, what is considered quality may be subjective to you and your audience -- but there are some general guidelines that every blog should follow and we are going to cover all of them. The first step to creating great content is to learn as much as you can about your buyer persona(s). This is true for all of your inbound marketing efforts. There’s a reason that some companies struggle to attract new customers while others can’t keep up with demand. The best companies know exactly who they are marketing to and speak directly to them. Do your research before ever writing a blog post so you don’t waste time on something that no in your audiences cares to read. What are your personas’ biggest problems and their biggest desires? Create content that taps into those areas. That’s what will resonate with them and where they are most likely to spend their money. Get everything you need to research and create your most targeted buyer personas. So, how does your persona talk? What words do they use? What’s their tone of voice? People prefer content that is relatable. Use a writing style that matches the way your persona speaks within their industry and to their colleagues. Speaking to your audience using words and a tone of voice that they are familiar with is more likely to elicit the desired response than one that is completely foreign. Once you have an audience, ask for feedback. Let them tell you what they want and don't want to hear from you. Aside from the few outspoken individuals, most people won't ever give feedback unless you ask them to. Once you've figured out who your audience is and what they want, you have to follow-through and provide valuable content. The best way to differentiate yourself from competitors is to provide the best value! If you want your content to be valuable, it needs to be original. You want to create content that stands out from the crowd and adds to the conversation, instead of repeating old news. Let your personality shine in your writing! People relate to people, so remind your readers that there is a real person behind every word. When someone lands on your blog, they are looking to solve a problem or learn more about something. Oftentimes they are looking for a solution that they can implement immediately. Where many blogs fail is in creating content that isn’t actionable right away. Give them something they can do as soon as they are done reading. You don't have to provide life-changing advice in every post, simply sharing a resource or providing step-by-step instructions is enough to keep the journey going. When you do this you are building trust with your readers. They will remember that time they found your blog and discovered something useful that benefited them that same day. Then the next time they want more information, your name and site will be the first to come to mind. People will keep coming back to your blog as their resource. The good news is, you don't have to have all the answers to be a great resource. If you can’t solve a problem, you need to at least point people in the right direction. It might sound counter-intuitive to send readers away from your website, but as long as you are helping them you are providing value. As long as you are helping people out, one way or another, they will remember you. Content that isn't easy to read simply doesn't get read. People have way too many things online competing for their attention and aren't patient enough to read articles that look like they were copied from a science textbook. Look at this page for example. There’s a lot of information to take in. However, you can randomly scroll up or down and know exactly where you’ve landed because of the use of sub-headers and clever formatting throughout. You want to make it as easy as possible for your readers to find the information they are looking for when they get to your page. While some people want to read every word, most people prefer to skip around. The most valuable content in the world does nothing if no one reads it. What Are the Keys to Amazing Blog Posts? As stated before, providing value and readability are essential for excellent blog posts. Those two factors are mandatory. Accurate information. Do your homework and make sure your content is up-to-date with the latest information. Readers won't come back if you steer them in the wrong direction. Also, provide sources where you feel necessary. SEO. SEO stands for search engine optimization, which basically means that your content is optimized to perform well in search engines such as Google. Including relevant keywords, structuring content for readability as mentioned, and adding visual aids all enhance SEO. The more people you can reach with your content, the bigger impact you will make. Relevance. Keep the subject matter and the timing of your content relevant to your target audience. Producing content just for the sake of producing content is a waste of time. Link to other pages on your site. You want to keep people on your website and expose them to as much of your content as possible. The easiest way to do this is to provide links to similar articles or pages found elsewhere on your website. Call to action (CTA). You want to have a call to action in every post. This might be asking the reader to comment, sign up for a newsletter, purchase a product, or anything else you want. The point is that you already have their attention so you want to take advantage of that opportunity to interact with them further. Regular updates. Active blogs keep readers engaged and perform better in search engine rankings. You should be posting at least once a week, but many businesses opt to post 2-3 times per week and some even post every day. Decide what is best for you and your audience, but be sure to stay consistent with whatever you decide. Right now you should just focus on the basics. The absolute most important things are that you are providing value and that the content is easy to read. Once you’ve got those two things figured out you can come back to this article and start implementing the other details. Having a blog is one of the most cost-effective ways to engage with current customers and attract new ones. Plain and simple. Your blog gives your brand a voice. Unlike traditional advertising, PR campaigns, our outbound marketing, you have 100% control over the content in your blog. Your blog creates open communication between you and your ideal customers. It gives you both a chance to get to know each other. A blog also provides your business a platform to tell its story. There is no better way to get your website to rise in search engine rankings than to have an active blog. If you want potential customers to find your website, you will have a significantly greater chance by producing relevant blog content on a regular basis. Having a blog is one of the easiest ways to provide more value for your existing customers. You can educate them on the products or services you provide and show them how to get the most out of what you offer. Finally, your competitors likely have, or plan to have a blog. Not that you should do something because everyone else is, but your potential customers likely expect you to have a blog. The demand for blog content is on the rise and you don't want to be at a major competitive disadvantage. A great blog starts with quality content. The quality of the free content on your blog should be so good that readers are excited to pay for the products or services you offer. If your business isn't taking advantage of this powerful PR and marketing opportunity then you are missing out! In the digital age, you can't find a more cost-effective way to build and promote your brand to consumers. Even though writing is technically an artform, blogging has been broken down to a science. If you follow the tips from this article you will be producing excellent content in no time. And if you really don’t have the time or patience to build a thriving blog, we are happy to do it for you.